"An amazing network of successful women who are empowering each other and driving diversity in the workplace! I'm looking forward to the next event! On that note.. it's great to see Salesforce sitting up and taking notice of inequality in the work place and driving change. Salesforce = Innovative and Equal! 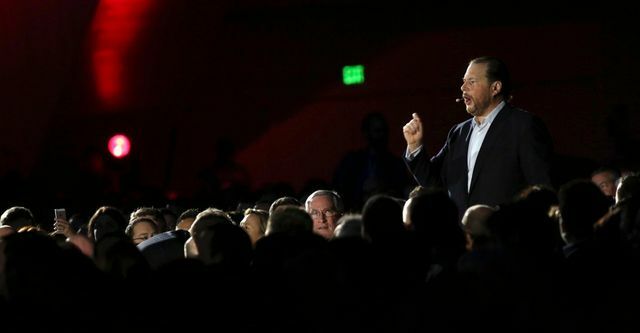 Last year, the software company Salesforce made headlines when its CEO, Marc Benioff, announced at a conference that the company had done an internal audit of its 17,000 employees to see if it was paying its male and female employees equally. After finding gender-pay disparities, the company then spent $3 million righting that wrong. This idea has taken hold in the tech industry: This week, Facebook and Microsoft both announced that they had achieved gender pay parity, joining a handful of other large companies such as Apple and Intel.